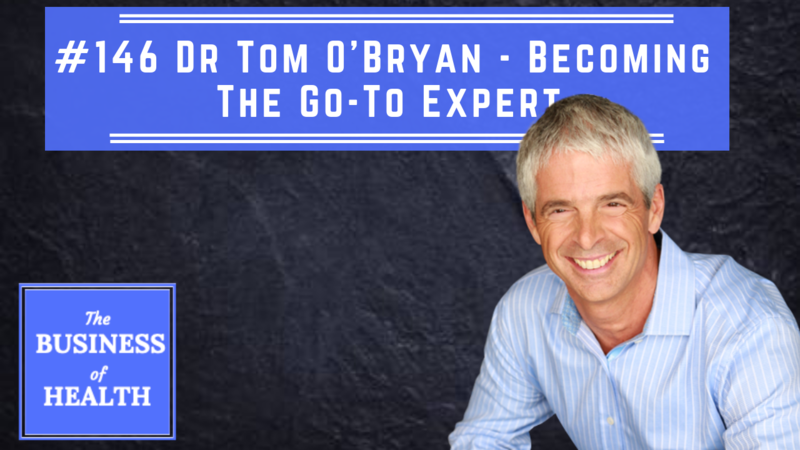 Today Dr Tom O'Bryan of thedr.com joins me to share his journey to becoming that leader in the gluten, celiac and autoimmune space online. One thing that will stick with you - apart from a world-class ability to communicate and share his message - is the level of purpose and drive that fuels Dr Tom's mission. You can figure out the 'how' to execute on stuff, or the 'who' you need become. Reasons come first, answers come second! - What led Dr Tom to venture away from his brick-and-mortar practice to start his online business? - The Certified Gluten Practitioner Program: What you should know if you’re doing any health coaching!